An 82-year-old Mahopac man, one of 32 individuals charged in January with alleged racketeering in the commercial waste hauling industry throughout the New York metropolitan area, pleaded guilty last week in federal court to loan sharking. Dominick &… Please login below or purchase a subscription to the Putnam County Courier to access this content. Electronic arraignments and video court appearances will begin in Carmel, Southeast and Patterson Town Courts as early as next month. County Executive MaryEllen Odell in an exclusive interview with the COURIER Tuesday evening reported receipt of a l… Please login below or purchase a subscription to the Putnam County Courier to access this content. Patrick Crowley places a $10 donation into the collection jar that is held by John Folchetti of Brewster. Other Marines attending the fundraiser last Saturday include Matt Cable of Brewster, John Riley of East Fishkill, Andy Devlin of Pine Bush in Or… Please login below or purchase a subscription to the Putnam County Courier to access this content. The economy might be on an uptick but in Putnam County the high rate of foreclosure actions continues. First Deputy County Clerk Michael Bartolotti reported last week 333 foreclosures had been initiated for the first seven months of 2013—more … Please login below or purchase a subscription to the Putnam County Courier to access this content. County Executive MaryEllen Odell and Mercy College Dean Ed Weis beam with pride when discussing the new program last Thursday evening in Mahopac. When County Executive MaryEllen Odell took her oath of office from former Governor George Pataki two yea… Please login below or purchase a subscription to the Putnam County Courier to access this content. A view of the Indian Point nuclear facility, in Buchanan. 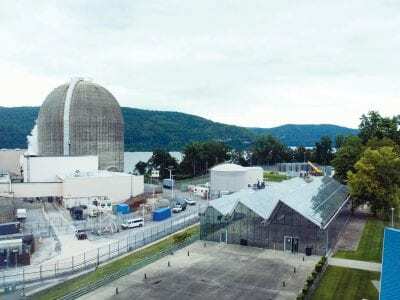 Public concerns about safety involving the Indian Point nuclear facility continue to be high in nearby communities as New York’s governor and many environmentalists want it shut down. The Ind… Please login below or purchase a subscription to the Putnam County Courier to access this content. 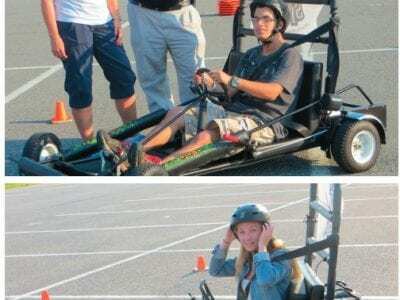 Top: BHS senior Christian Naranjo drives SIDNE under the watchful eyes of Janeen Cunningham and senior Probation Officer John Mulreany. Bottom: Samantha DiBella takes a spin in SIDNE along the BHS parking lot. 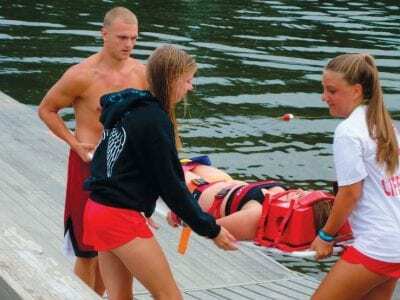 Dozens of high school seniors in Brewste… Please login below or purchase a subscription to the Putnam County Courier to access this content. Mahopac Superintendent of Schools Thomas Manko and State Senator Greg Ball are hoping for a large turnout next Saturday, Sept.7, when the pair host a Mandate Relief Roundtable at Mahopac High School. Underfunded and unfunded mandates have driven up … Please login below or purchase a subscription to the Putnam County Courier to access this content. School officials throughout the county are reminding parents of children returning to school next week who are in need of financial assistance not to be embarrassed but to contact their local district seeking free and/or reduced price meals for thei… Please login below or purchase a subscription to the Putnam County Courier to access this content.